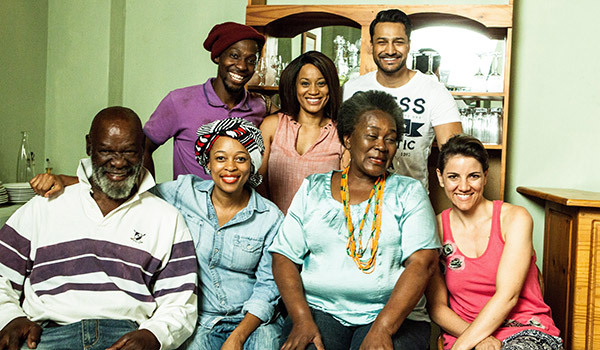 Thula’s Vine is a fresh and unique 13 part drama that will join the SABC 3 line up from Thursday 6 April at 19:30. It explores the story of Thula’s journey from a successful urban celebrity that encounters a fall from grace, and returns to her roots to discover a passion for her birthright. Thula is a charming, well-known radio personality who is living the life in Jozi. She is caught having a secret affair with a well-regarded, married politician and flees to her rural farm home to escape the escalating media scandal. We learn that the owner of the farm, a white man, was her father, who had an affair with a local black woman and became pregnant with Thula. After many years of being away from home, Thula is now forced to face her estranged relationships with her older white sister, her activist black brother and her biological black mother. To make matters worse, Thula learns that her older sister is planning on selling the family farm where she grew up and her older black brother is fighting the sale, claiming that the land belongs to the black community. A bitter battle ensues between the farm owners and labourers and Thula is put in a difficult position of having to choose one side of her family over the other. It explores the current theme of land ownership and rights in a compelling and intriguing manner. Scott Smith, Coalstove’s Executive Creative Director: “The Vineyard in Thula’s vine is a contested space, in some ways it is allegorical of South Africa in 2017. The previously dispossessed and disadvantaged negotiate ownership with people who legally have a claim” It illustrates how land is important in binding families from one generation to the next and creates a sense of identity and belonging. The production is a showcase of South African talent both on and off the screen. It features some of South Africa’s premier acting talent from the name lead Renate Stuurman as Thula and includes a plethora of acting genius’ in the lineup such as Sivan Raphaely, Wandile Molebatsi, Connie Chume, Nandi Nyembe, Martin Le Maitre, Mary-Anne Barlow, Emmanuel Castis, Bontle Modiselle and Yule Masiteng. The production also features a sterling crew which includes South African talent such as Mmabatho Montsho, Que Ntuli and Sello Letsatsi as Directors, Tiyane Nyembe and Gaopie Kabe as Director of Photography and Megan Firth as Line Producer. Together they have rallied a formidable team so that the story could be told in the true spirit of SABC 3. We believe in the power of great story telling and when combined with exceptional talent and impeccable quality, we feel that Thula’s Vine will not only become an immediate viewer favourite and Friday morning talking point, but will live on as one of the gems of South African drama.